James F. Masterson (M.D., Jefferson Medical School, 1951) was Director of the Masterson Group, P.C., which specializes in the treatment of adolescent and adult character disorders. Additionally, he was Director of the Masterson Institute (formerly Character Disorder Foundation); attending psychiatrist at New York Hospital, Payne Whitney Clinic; and Adjunct Clinical Professor of Psychiatry at Cornell University Medical College. Masterson has authored seven books and edited two volumes, mostly on the topic of psychoanalytic approaches to character disoreders and adolescents. 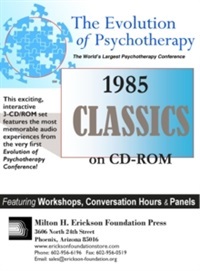 His seminal work on the borderline personality has made him one of the most influential and studied practitioners of modern psychoanalytic methods. 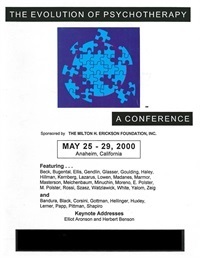 Topical Panel 06 from the Evolution of Psychotherapy 2000 - Resistance Featuring Albert Ellis, PhD, James Masterson, MD, Zerka Moreno, and Michael White, BASW. Moderated by Christine Padesky, PhD.